Mike Nassios was born in Athens, Greece, on August 5, 1954. His family moved to Knoxville, Tennessee in 1967 and Mike graduated from the University of Tennessee at Knoxville in 1977, where he played on the soccer team. Mike attended the University of Tennessee Law School where he received his law degree in 1980. After graduation from law school, Mike was in private practice for three years before joining the Knox County District Attorney's Office as an Assistant District Attorney. While in practice as an Assistant District Attorney, Mike attended the National District Attorney's Conference Trial College and prosecuted serious criminal cases for the next eleven years, gaining extensive trial experience. In 1994 Mike joined the Law Offices of Peter G. Angelos, a nationally recognized plaintiff's law firm based in Baltimore, Maryland. 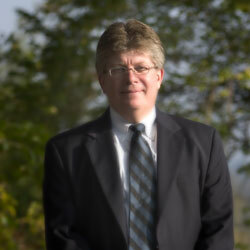 Mike was hired as the managing attorney of the Peter G. Angelos local office in Knoxville, Tennessee. The practice involved representing injured people in serious personal injury and product liability cases. In 2003, Mike Nassios and Timothy McLaughlin established Nassios & McLaughlin, PLLC. Mr. Nassios is an adjunct professor at the University of Tennessee Law School and a member of the Association of Trial Lawyers of America (ATLA Products Liability Litigation Section, Professional Negligence Section and Traumatic Brain Injury Litigation Group), Tennessee Trial Lawyers Association, Tennessee Bar Association, and Knoxville Bar Association. Mr. Nassios' practice involves representing people in serious personal injury cases, worker's compensation, medical malpractice and criminal law matters. Mike is married to Leslie Nassios and they have three children.